1) Voyager Pro HD – With all the latest technology built into this model, you can’t miss having the best conversation on a Bluetooth headset you’ve ever had. It even answers your calls by simply putting it on. 2) Explorer 390 – Noise, wind and echo reduction, easy to set up, a battery status light, light weight, stylish … the list is too long to mention all the features of this nifty little Bluetooth headset, and at a very affordable price to boot! 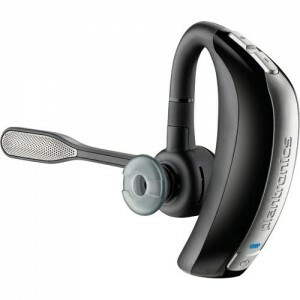 Check out the Explorer 390 at Headsets Direct and see all that it has to offer. 3) M1100 – Take the time to savor the benefits of the M1100, one of the latest Bluetooth headsets from Plantronics. You can stream music, podcasts, GPS and other audio applications from A2DP-enabled phones, and use your voice to answer an incoming call by simply saying “Answer”, or use the dedicated voice button for a host of convenient commands. 5) BackBeat 903 – Whether you’re at the gym, riding your bike or just strolling down the garden path, the BackBeat 903 delivers when it comes to sound and clarity. Stereo from a headset never sounded so good.